When Teresa Sapey Studio were designing an industrial style loft in Madrid, Spain, they decided to dedicate a wall to wine storage. 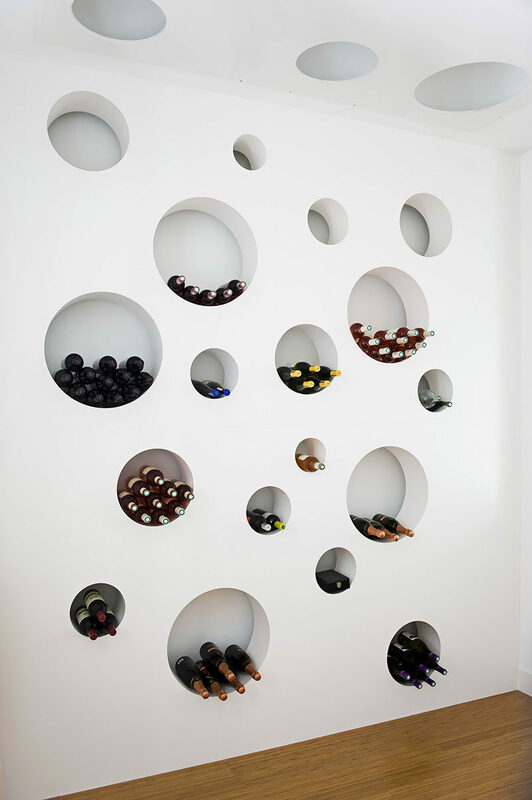 Instead of having a typical looking wine cellar, they created a wall with circular cut-outs that houses the different bottles. 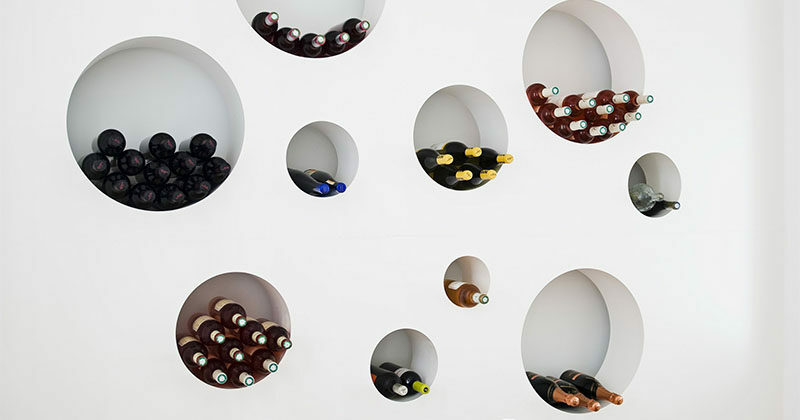 By bringing an additional wall section in and placing it in front of the original wall, they were able to create a fun display for the wine.